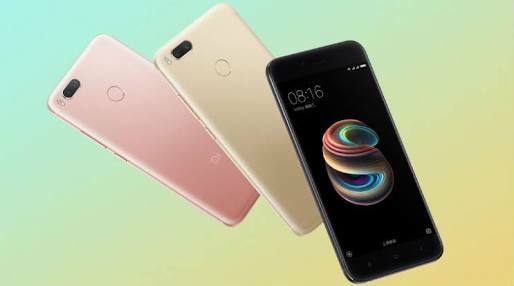 Xiaomi Mi 5X Specifications - Full specs, price and offers. The XIAOMI MI 5X comes with 5.5” Full High Definition screen with 1920 x 1080 resolution. Powered by powerful Snapdragon 625 processor clocked at 2.0GHz, for high speed performance and optimized power consumption, coupled with light speed 4G RAM, the phone with effectively run most demanding CPU apps and graphics. MI 5 X will run MIUI 9 ( based in Android 7.0 Nougat). Features 3080 mAh battery, which may look small compared to the specs of the MI5 X. But Xiaomi battery are never small, plus the highly optimized processor, you will definitely get enough talk time and standby up to days. Features dual Nano sim and dual standby. The dual sim capability helps you use two different sim in MI5 X. Also you can switch between the sims to the one that best fits your plan at a particular time. Equipped with fingerprint identification sensor, secured at the back. No security can exceed the one with ones fingerprint, which is unique to one particular person. The fingerprint sensor helps you unlock your phone faster, easier and more efficient. 64GB internal Storage and expandable memory space up to 128GB, you can more freedom to store just anything with your MI5 X.